DUE TO TEMPORARY INTERNET DISRUPTION, THE OPTION TO PURCHASE TICKETS ONLINE IS NOT AVAILABLE AT THE PRESENT TIME. PLEASE CALL THE ARTS COUNCIL OFFICE (973) 285-5115 x15 TO PLACE YOUR ORDERS. 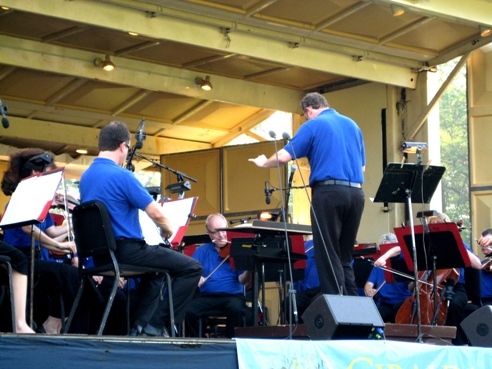 Start the summer right by attending the Arts Council of the Morris Area’s fabulous Giralda Music and Arts Festival on Sunday, June 26, 2011. Held in Madison, NJ on the gracious lawns of Giralda Farms (the former Geraldine R. Dodge estate), this event features a spectacular outdoor concert by the New Jersey Symphony Orchestra under the baton of Gerald Steichen in a program featuring light classics, Americana, “water themed” music (reflecting the Arts Council collaboration with the Great Swamp Watershed Association) and vocal selections (opera and Broadway) showcasing singers from Opera NJ Additionally, the festival will feature children’s art activities, children’s book readings and sale (with several award-winning children’s authors), an Art Show and Sale, a special sale of paintings of the Great Swamp by Girl Scout artists and other hands-on activities. Ice cream, desserts, refreshments and beverages will be available for purchase and, in keeping with Giralda tradition, there will be generous prizes for the most inventive picnics and the fabulous 50/50 raffle which nets some lucky person a big cash prize. Bring your friends, families, classmates, neighbors or come by yourself to help welcome summer with the Arts Council in this fun and very affordable way. Visit our Giralda Page at https://www.morrisarts.org/programs/events/giralda/ for more details. 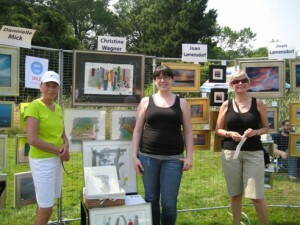 Above L-R: Conductor Jeffrey Grogan leads the New Jersey Symphony Orchestra; Artists Dannielle Mick, Christine Wagner and Joan Lamensdorf at the Art Show and Sale. 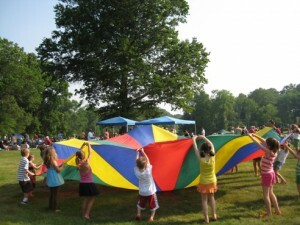 Bottom L-R: Kids having fun with parachute; Crowd enjoying Giralda 2010. Time: Gates open at 4pm for activities and picnics (no pets, no BBQs). The concert starts at 6pm. NEW Rainsite: The Mennen Sports Arena, 161 E. Hanover Ave., Morristown. Indoor picnics and activities will be permitted at this location. Doors open at 4pm. The concert starts at 6pm. In advance: Adults, $12 adults (16 and over); Children, $4; under 4, free. At the gate: Adults, $15 adults (16 and over), Children, $5; under 4, free. Tickets are also available by mailing your ticket request and check (payable to “Arts Council of the Morris Area”) NO LATER THAN JUNE 13th to: The Arts Council of the Morris Area, 14 Maple Ave., Suite 301, Morristown, NJ 07960. Contact: For general information, call (973) 285-5115, ext.18 or contact Karin Becker at (973) 285-5115, ext. 14 or via email at kbecker@morrisarts.org. 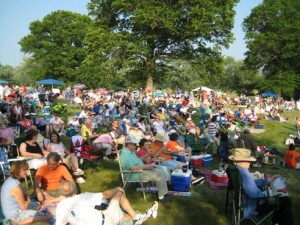 For location change, call (973) 285-5115 x18 or visit www.morrisarts.org after 12:00pm on concert day. If you require special accommodation, please contact Kadie Dempsey (973) 285-5115 x17. Thanks to our Sponsors: Open Spaces Management Association; RXR et al; Pfizer; Maersk Inc.; and GRC Management Corp.; BASF – The Chemical Company; PricewaterhouseCoopers LLP; Kings Supermarkets; J. Weber Designs. All proceeds benefit the many programs and services provided to artists, arts organizations, schools and the community by the Arts Council of the Morris Area.